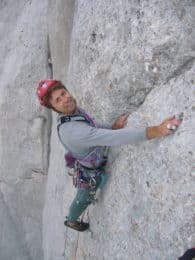 Join IFMGA certified mountain guide Davide on this 3-day ice climbing course in the Dolomites and improve your skills or discover this fantastic activity. 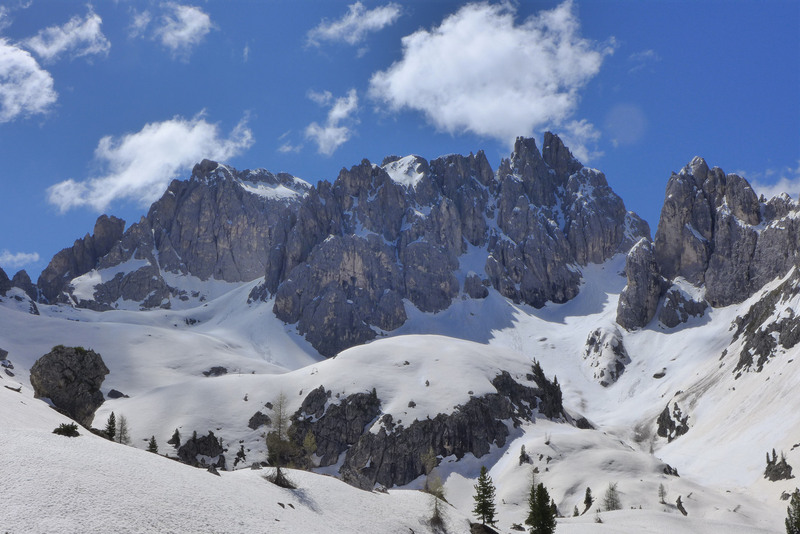 Spend 3 days ice climbing in the Dolomites and the Italian Alps. Gain experience and improve your skills with the help of an expert. Contemplate the amazing panoramas of this area in Italy. Come with me on this 3-day course and enjoy ice climbing in the Dolomites. Weather you’re a beginner who wants to get started with this activity or an advanced participant who would like to improve your skills, you’ll find a place on this program. On this 3-day trip, I invite you to try some fantastic ice climbing routes in some of the best spots in the Dolomites. Depending on weather conditions and your climbing level, we’ll choose an option and go for it. I’ll be with you at all times with useful tips and information about the routes and the activity. If you’re a beginner, I’ll teach you ice climbing basics so you can enjoy this activity safely. If you’re a more advanced participant, I’ll help you improve your abilities and gain more independence. 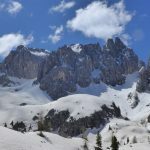 In the Dolomites, some of the available options for us are in Sottoguda and Sappada, both in the Italian province of Belluno. To keep exploring, we can also enjoy climbing in other popular spots in the Italian Alps, such as Varaita Valley and Aosta Valley. Although the course is both for beginners and experienced climbers, take into account that it’s very important to have a good level of fitness. So, do you find this program attractive? Then send the request to book your place and enjoy ice climbing in the beautiful Dolomites with me! I also lead a 1-day ski traverse in the Apennines. Check it out! I like climbing and mountaineering on the main mountainous groups in the Apennines and on the entire Alpine arc, including some early ascents and repetitions; climbing on ice falls; ski mountaineering activities on the mountainous groups of the Apennines, the Alpine arc and the Mediterranean area - ascent of the main peaks above 4000 m.- of all difficulties, with many years of experience in raid and steep skiing experiences; experience of extra-mountain mountaineering at Mount Kun, in the Indian Himalayas. Intense mountain bike activity, including professional accompaniment, on the most beautiful paths in central Italy.